Fatigue is a word we have all used and heard a lot, but do you actually know what it is? Obviously it is related to tiredness and exhaustion but what exactly are the causes and consequences of fatigue? Often when something seems so obvious many people will actually not know that much about it. Fatigue is one of those things. While we all use the word there are not many people out there that could actually tell you what fatigue is and what impact it has. Let’s start with a definition. Fatigue, often referred to as exhaustion, lethargy, tiredness and listlessness, is a physical and mental state of being tired and weak. Although mental and physical fatigue are different they will often exist together, if someone is physically tired they will also often become mentally tired. Physical fatigue generally results in the inability to function at normal levels of energy and coordination. The person experiencing fatigue will find that their normal reserves are not able to be called upon. Their muscles will not be able to perform to the same high standards nor will they be able to perform for as long. Doctors often use a strength test to find out whether someone is suffering from physical fatigue. Those suffering from mental fatigue are more likely to feel mentally slower. They may have a sensation of being lightheaded or dizzy, clouded or unreceptive. The sufferer will find that concentrating is a lot harder than normal and their attention span has decreased significantly. Mental fatigue can be particularly dangerous as it limits a person’s ability to make sensible decisions and also affects their motor skills and coordination, meaning that they are in a riskier state. Around 10 percent of people are suffering from some form of persistent fatigue, with more female than male sufferers. 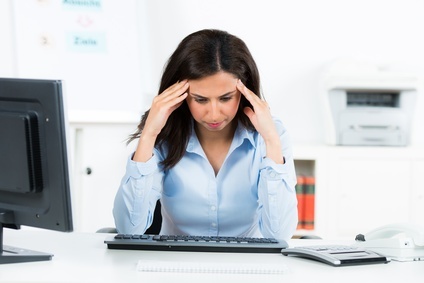 It is often a problem for people who have high stress levels though that is not always the defining cause. In fact, fatigue is a symptom of any one of a number of different causes that can range from purely physical issues to entirely psychological problems. The difference between fatigue and sleepiness is that fatigue is generally a chronic condition, meaning that the sufferer will experience it over a longer period of time. In other words, sleepiness can turn into fatigue over a long period of time. Fatigue is something that becomes an increasingly concerning problem the longer it goes on, which is why it is important to catch it as early as possible so that the root cause can be foxed before it has too many negative consequences. Fatigue is a state of long term sleepiness. It can be either physical or mental or a combination of both. Physical fatigue affects energy levels and motor skills. Mental fatigue leaves people with a shorter and less focused attention span. It becomes increasingly dangerous and debilitating. Root causes need to be found and fixed. Fatigue is chronic tiredness and quickly becomes a dangerous and debilitating state. That is why it is vital that the root causes are found and fixed as soon as possible.